During World War II, on the eve of the Battle of Britain, British scientists develop the first radar systems to be employed against the German Luftwaffe. In 1920s Turkey, young peasant Memed (Simon Dutton) elopes with beautiful Hatche (Leonie Mellinger), who was promised in an arranged marriage to the local potentate Abdi Aga's (Sir Peter Ustinov's) son, and later joins a group of bandits. Very entertaining - in a silly kind of way. Anthony Newley knocks most other child actors into a cocked hat, and Roger Livesey is very endearing: neither overplay their parts as so often happens in this kind of yarn. 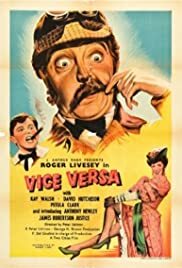 If you appreciate light-hearted vintage English comedy you will surely enjoy this one - I thought it superb - but don't watch it if your movies need to be in colour or have relevance to something as it's just a bit of pure fun. This said it holds the attention throughout due to it's fast-paced antics and great characterisations. Hope it's out on DVD somewhere as would love to own a copy.